Profile Randal Pham, M.D., M.S., F.A.C.S. Dr. Randal Pham is the first surgeon of Vietnamese origin inducted into the prestigious American Society of Ophthalmic Plastic and Reconstructive Surgery. He is certified by the American Board of Ophthalmology. He is the first ophthalmologist and oculofacial plastic surgeon to receive the Best Clinical Science Award by the American Society for Laser Medicine and Surgery. 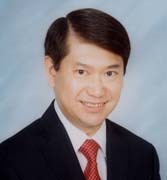 Dr. Randal Pham graduated Phi Beta Kappa from UC Berkeley in Biochemistry. He obtained his M.D. degree with excellent citation from UCSF. He is the first Vietnamese American appointed to the faculty of the Department of Ophthalmology of the School of Medicine at Stanford University. He finished his residency training in ophthalmology at Metrohealth St Luke/Case Western Reserve University in Cleveland and completed a fellowship in ophthalmic and facial plastic surgeries at Cimarron Eye Center in Oklahoma City. Dr. Pham holds membership in many prestigious professional associations and societies. He is a member of the Board of Trustees of the California Medical Association. He has taught numerous courses on the use of lasers to ophthalmologists, dermatologists and plastic surgeons nationally and internationally. His special area of interest has been research into the use of laser technology for the eye and the face. Dr. Pham is the first surgeon in the U.S. to perform laser aesthetic surgery using simultaneous combined wavelengths. Dr. Pham designed a patented high density porous polyethylene implant sold by Porex Surgical, Inc. (now Stryker CMF) under the product name MEDPOR?Petite Nasal Dorsum Implants. The invention is recognized as a novel technique for rhinoplasty in Asians and was recently published in the prestigious open access journal Plastic Surgery International. The interconnecting, omni-directional pore structure of the MEDPOR?Implant provides surgeons around the world with an excellent alternative to grafts for nasal augmentation since the 1980's.